After three years of wins at all the attended races and five course records set, Esimit Europa 2 is leaving the Mediterranean – The first race of the new season will be the famous Kieler Woche (Kiel Week) in Germany. With participation at the 131st edition of the Kieler Woche (Kiel Week; 22. to 30. June) is Esimit Europa 2 heading to northern Europe for the very first time. The 18-member crew, currently coming from 8 different European nations, will have to cope with many competitors and unpredictable waters of the Baltic Sea. According to the organizers of the German sea festival, this year’s sailing events in Kiel expect more than 3 million visitors, 1800 boats and 4500 sailors from more than 50 countries, which will compete at 450 races on 11 different courses. “A new chapter in the history of the Esimit Europa project is starting, because after 19 fastest times at 19 races and 5 records set, this will be our first race outside the Mediterranean. Kieler Woche is the perfect opportunity to introduce ourselves to the German sailing enthusiasts and a chance to carry the European flag to the highest step of the podium for the 20th time. Currently, preparations of the yacht are since the end of last season underway at our winter base in Valencia, Spain, where Esimit Europa 2 has seen some technological improvements, while we will enter the new season also with new design. It will exploit the yacht’s main sponsor, Gazprom, even better and also connect better to our mission of fostering European identity,” said Jochen Schümann, skipper of Esimit Europa 2, twice America's Cup winner and three times Olympic champion. Esimit Europa 2 will be on Europe’s Day, 9. May in Valencia presented with its new design. On this occasion also future sailing ambitions will be revealed. “We are looking forward to the race for the “Royal Ocean Cup,” which will see the participation of the exceptional Esimit Europa 2 yacht with the sailing legend Jochen Schümann as the skipper. 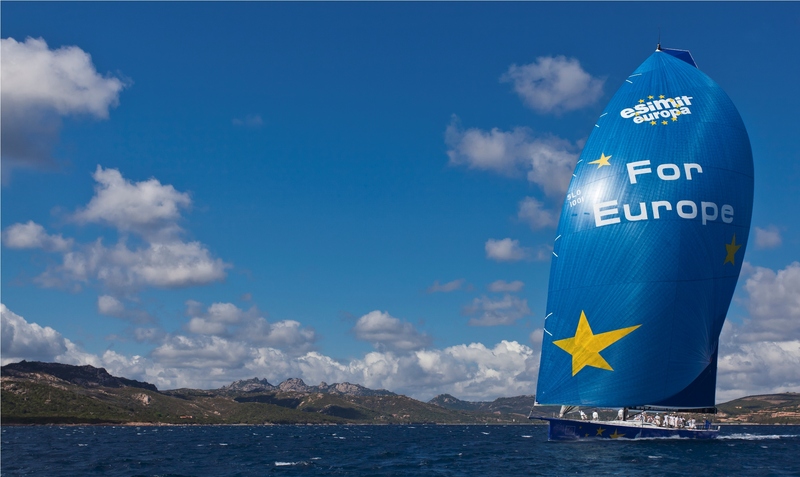 I'm positive that trimarans, catamarans and Esimit Europa 2 guarantee exciting racing. At the same time we warmly welcome the European idea of the Esimit Europa project, which also correlates with the first “EUROSAF Champions Sailing Cup” within the Kieler Woche, a series of races for the Olympic and Paralympic sailing classes,” added Eckhard von der Mosel, head of regattas organization at the Kieler Woche.